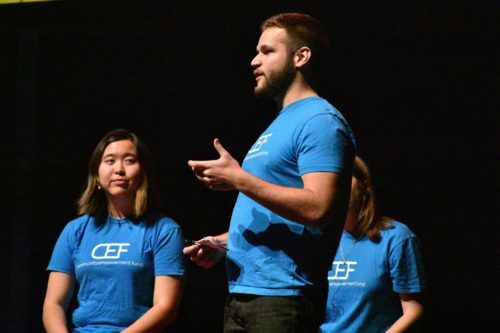 The co-founders and co-directors of Community Empowerment Fund (CEF), a nonprofit organization dedicated to helping low-income families and individuals in the community use proper financial tools, gave a presentation on May 8, 2017, to an independently organized event in Chapel Hill. The then three college students who started the nonprofit organization spoke about their development and the impact it has had on individuals in the community. Watch video.